-I've been a fan of The Beatles since I was very young, and MLP has grown on me for the past few months, so when I heard about this project, I felt I needed to contribute to it somehow. 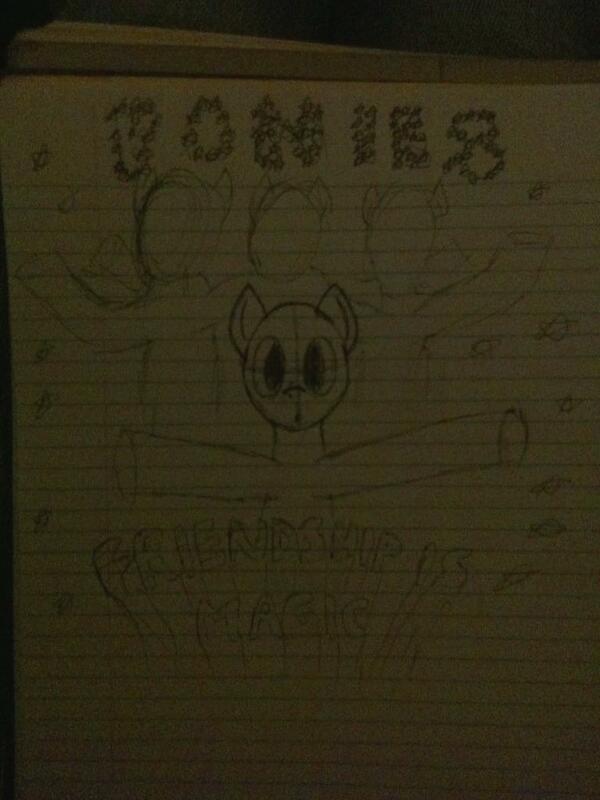 -I'm hoping to do a ponified album cover version of Magical Mystery Tour (I already have a very sketchy concept of how I'm going to do this: https://i.imgur.com/Rlb6L.jpg, sorry about the bad quality). -I plan to use Photoshop and maybe Flash. 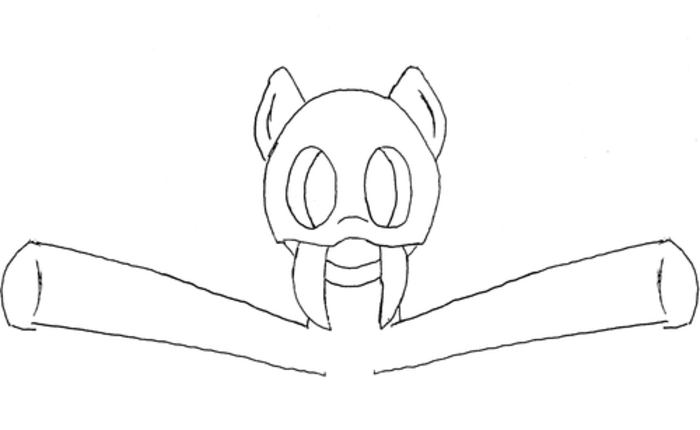 -For past MLP related work, I've made several MLP related videos, including a few YTPs, the MLP physics presentation, a PMV of "Hey You" from Pink Floyd's The Wall, and some fanart, one being a Beatles/MLP crossover (https://i.imgur.com/7Ltka.png). -If anyone wants to help out in some way in making this album cover, say so in this thread. I might be biting off more than I can chew, so any additional help is appreciated. Welcome aboard, you should be in the contributor group now. I personally didn't expect to have the first person to join up be an artist, but it sure is nice to have. 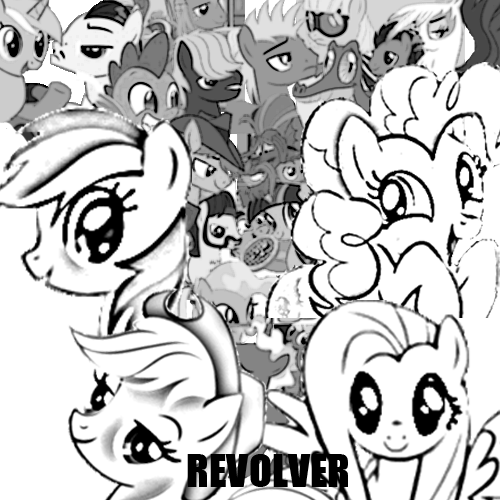 Ok I did just the bottom pony. I think what I'm going to try to do is draw each character individually and use Photoshop to put them all together. This picture still looks sketchy but I'm not sure if anyone can make it look better somehow. Yeah, layering in the ponies might be the best option for something so complex. Feel free to keep us posted in the Album Art forums if you'd like, you don't have to do it here . I'm sorry but I won't be able to get a hold of a scanner for the next week, and I have to start registering for classes for college in July, so I'll be busy with that, so I'm going to have to put this on hold for a while. When I continue, I'm going to start a new thread in the album art section. Again, sorry about that. It's fine man, this is not supposed to be anyone's main project. Besides, we won't need the art until the videos are all done. Hope your registration goes alright, I know there can be some hassles from time to time, and we'll still be here when you get back. Also, you're more than welcome to stop by and give your opinion on anyone's work.